House Edge Blackjack: Tips to Reduce It and Win Quick Cash! Roulette Strategy: Learn How to Play and Win! At the 11th hour, Senate Majority Leader Bill Frist managed to attach his anti-gambling bill to the Ports Security Bill and both bills were subsequently passed through the Senate. The bill now only needs to be signed by President George Bush to become law, and it is widely expected he will sign it before congressional elections early in November to gain support from the political right. 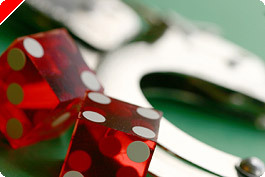 The online gambling industry had been reeling this year already from the arrests in the US of gambling executives Peter Dicks and David Carruthers, but there were few analysts who thought the anti-gambling bill would be passed through the US Senate in time. Had Frist not been able to attach the bill to the more important Ports Security Bill, he would have had to reinitiate the entire process next year. Frist was quoted as saying: "Gambling is a serious addiction that undermines the family, dashes dreams and frays the fabric of society. For me, the bottom line is simple: internet gambling is illegal. Although we can't monitor every online gambler or regulate offshore gambling, we can police the financial institutions that disregard our laws." There are those that believe the Republican moves to restrict the accessibility of payments to online gambling institutions is more likely to be due to a desire to restrict the flow of money to overseas-owned gambling institutions, many of which are publicly listed on the UK Stock Exchange. Despite strong protests from the banking industry, which pointed out enforcing the measures would be impractical and expensive, the bill was passed and now financial organizations will be required by law to block electronic transfers of funds to online gambling companies. It is believed many clients will find alternative payment routes, such as NETeller, but the majority of online gambling companies' US business will be affected. Play at JackpotCity Casino! Get unimaginable amounts of bonus cash and enjoy cool games. Join Slotomania, the number 1 slots app for US players, and claim 10,000 free coins deposit free to play online slots! Claim 20,000 free credits at this social casino legal in the USA! Thanks for subscribing! We will keep you updated.